The USB 2.0 Add On Board is designed to provide connectivity between USB 2.0 Host / OTG controller and USB 2.0 Device IP core. The Add On board provides a fast, versatile, and easy-to-use communication path for data exchange between the device and host. 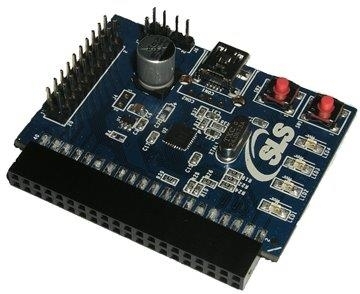 The board provides complete Hi-Speed USB 2.0 physical front-end solution that supports high-speed (480 Mbit/s), full-speed (12 Mbit/s) and low-speed (1.5 Mbit/s). The board works seamlessly with the following SLS USB 2.0 IP Cores.